As an international student looking to study abroad in the UK, you may be considering enrolling on a Bachelor’s or Master’s programme. However, you may also be worried that you’re not as prepared as you could be. Perhaps you’ve not had chance to take an advanced course in your chosen subject, or maybe you need to improve your English language skills. If this is the case, then choosing to enrol on a foundation course in the UK, will give you the best preparation for further academic study. 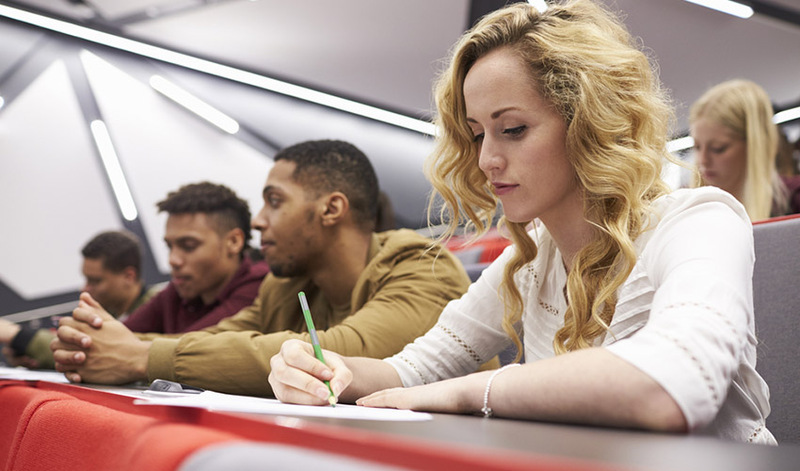 A foundation course in the UK offers you a chance to develop the study skills you need to be successful when applying for, and working on a university degree course. It can help you grow accustomed to student life and culture, as well as offer you a chance to greatly improve your skills in English language courses. Every university that offers foundation courses, will have their own set of requirements in regards to student admissions. It’s important to do your own research, so that you can see what the minimum language proficiency you need to attain is. You will likely need to meet a minimum language proficiency, in order to enrol on a foundation course in the UK. Checking what English language tests are accepted and what score you need to attain is essential, if you hope to successfully enrol at the university of your choice. It’s important for you to go through all that the foundation course has to offer, to make sure that it meets both your academic needs and future career goals. Check what makes the course appealing and unique, and what the faculty offers in order to make it a good fit for you. This may seem self-explanatory, but you need to make sure that the foundation course is recognised by universities, and that your chosen subject is relevant for your future degree course. There are a number of factors that could affect the cost of a foundation course in the UK, such as the length of the course, the location of study, the university rankings, and more. Make sure that you properly inform yourself about any tuition fees or any other additional fees that are required for your foundation course. Another good way to assess whether or not a certain foundation course is truly right for you, is to look at past student reviews. Even getting in contact directly with previous students can be a great way to answer any questions or concerns you might have about the course. Alternatively you can contact the university course adviser or admissions officer. The UK is home to many top universities, and taking the chance to study abroad can be both exciting and rewarding. When choosing your foundation course, it’s also important to consider where the campus is located. The UK has some pretty big university campuses, such as Nottingham, Bristol and Hull, but there’s also plenty of smaller locations too. Think about where you want to live while you study. You might thrive living in student halls, or you could prefer living somewhere just outside the campus. Think hard about where you want be located, the lifestyle you want, and the type of person you are, before making a decision. Whatever you decide of course, make sure to visit the university and campus, along with the surrounding area. When it comes to choosing the university for your foundation course in the UK, you’ll likely be looking at some of the top and most renowned institutions. Remember though, that gaining admission to these universities can be very competitive, even for a foundation course. Projects or internships that you have completed. Certain universities will also have an interview process with one of their representatives, which you must pass in order to be considered. Keep all of this in mind when choosing which foundation course in the UK you want to apply for, and remember to be realistic about your chances of being admitted to certain universities. If you’re an international student looking to study in the UK, or if you wish to learn more about enrolling on a foundation course, please contact us at IEC Abroad today. Our study abroad specialists are here to help you find your ideal university.